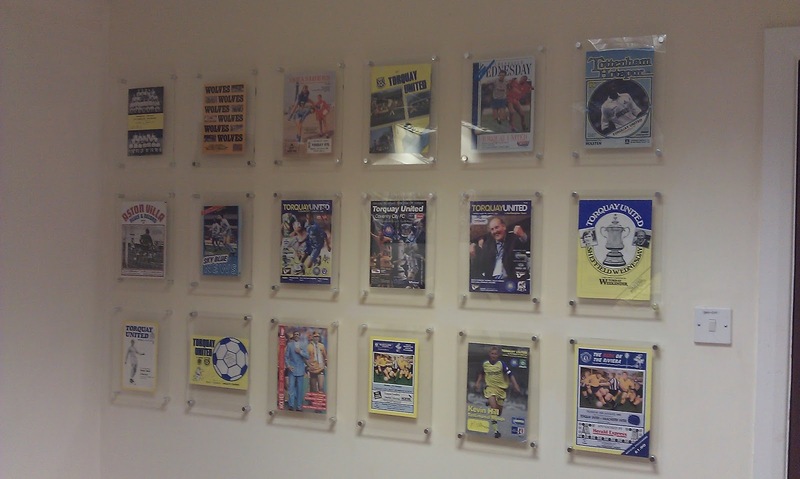 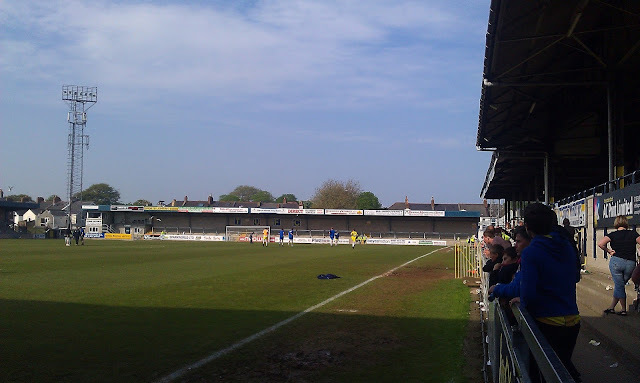 I was one of a handful of fans who made their way to the English Riviera for a Football League Trophy game in 2002. 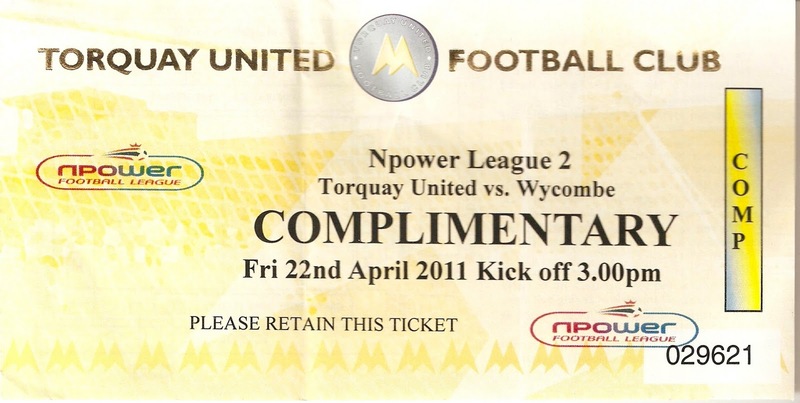 I was on the supporters coach and the 2 random things I remember about the journey was food related. 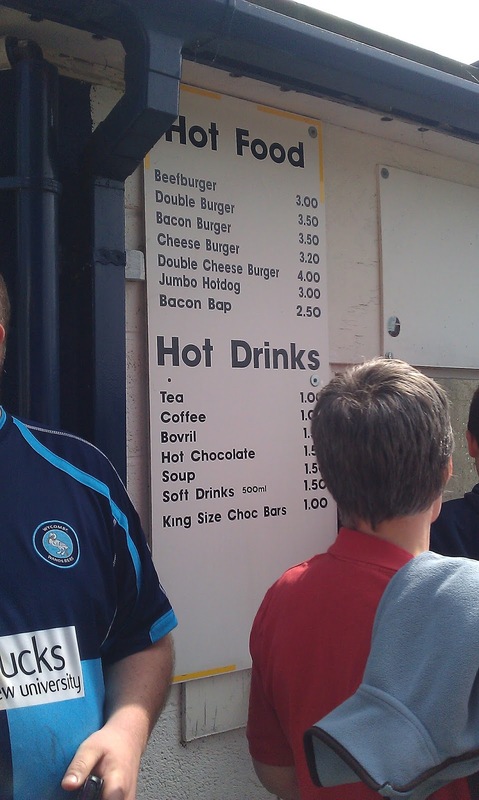 One was someone paying £2 for a cream scone and promptly puking it up. 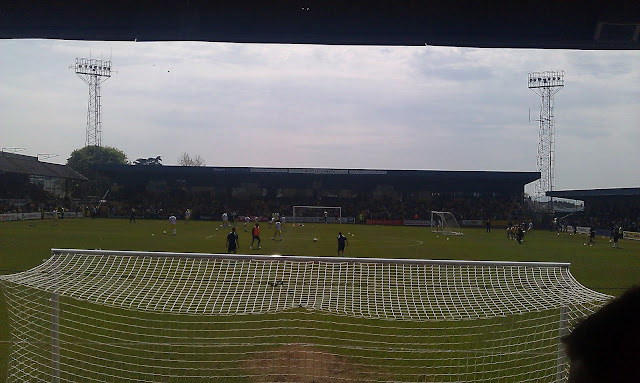 The other was another fan buying one of those foot long tubes of Jaffa Cakes and finishing it within about half an hour. We eventually got to Torquay around 6PM and so had plenty of time to wander round before the game. I recall that the bar was open, but didn't serve alcohol as there was a problem with the licensing laws. 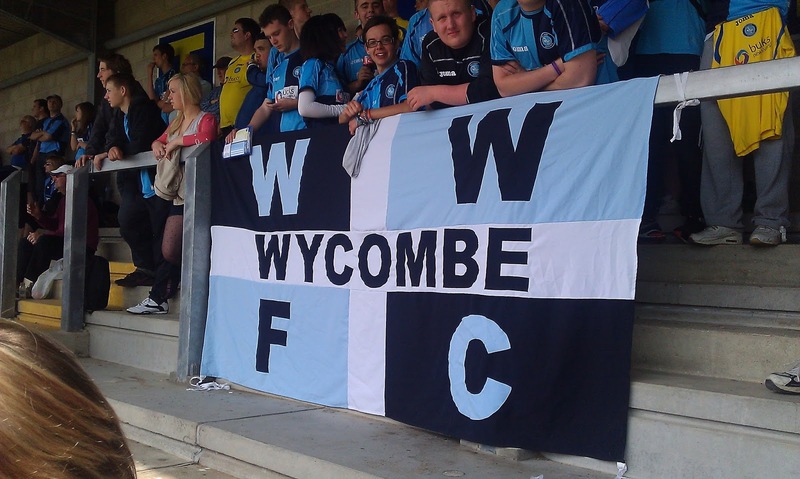 The game was a very good night out for the 69 travelling Wycombe fans, Despite some great saves from Frank Talia saving Wycombe on occasions, Wycombe won easily. 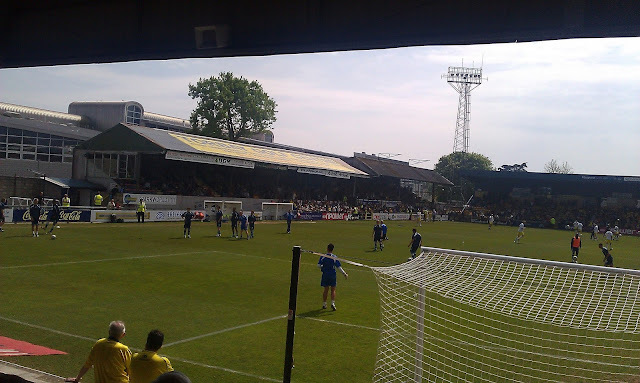 A Sean Devine hat trick and a Mark Rogers goal gave us a 4 goal victory. 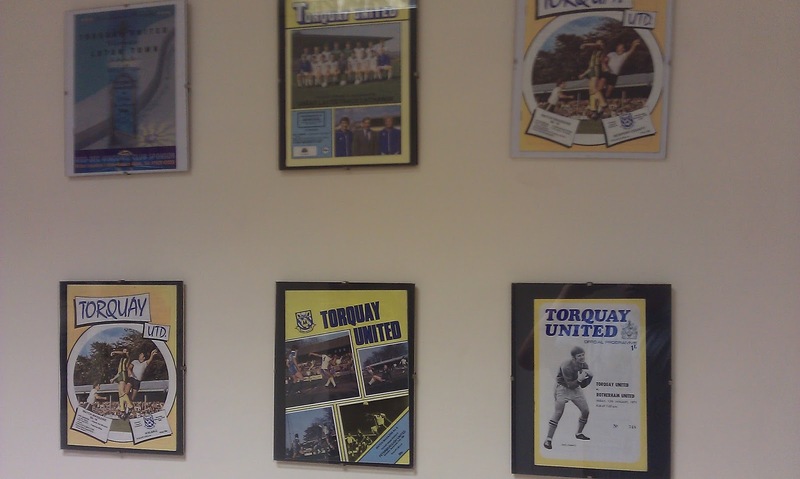 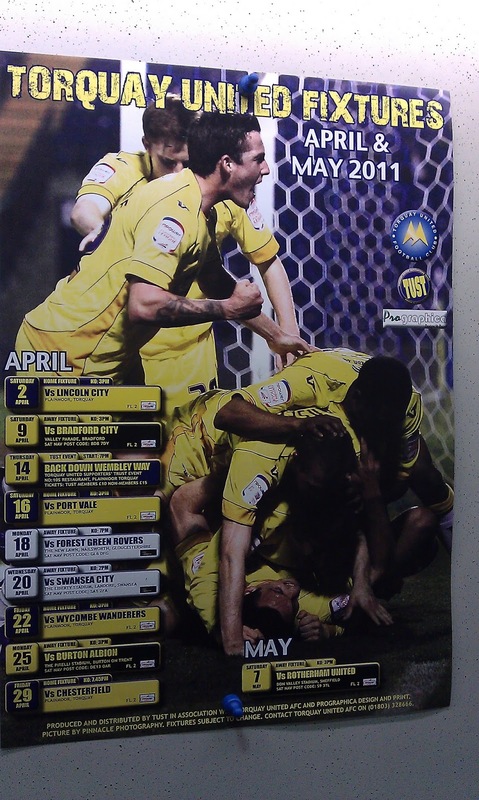 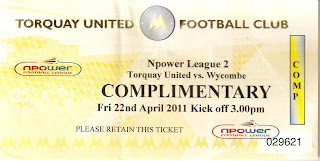 Sadly this was our only win in Torquay, we have received little reward for making the long journey west over the years. 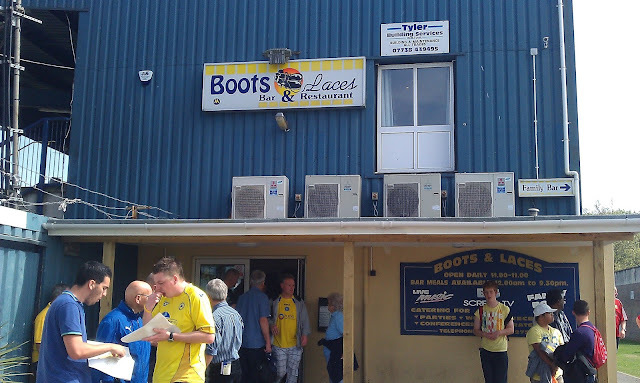 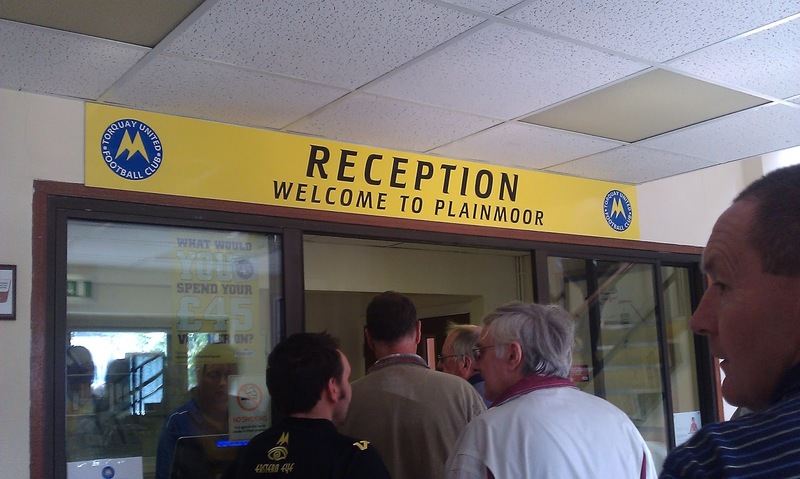 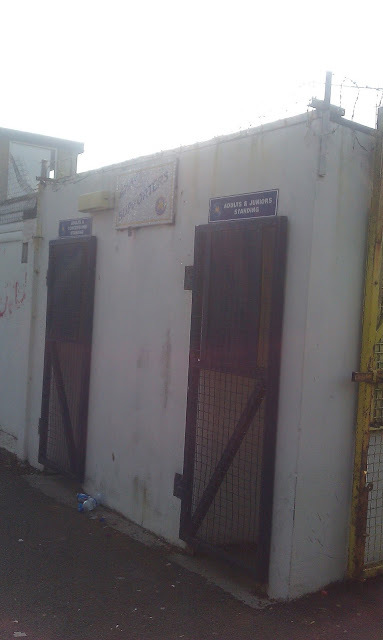 PLAINMOOR is a pleasant lower league ground with a decent amount of pubs and chippies within walking distance. Away fans get a covered terrace behind one goal, there is a similar stand running along the side to the right of this. 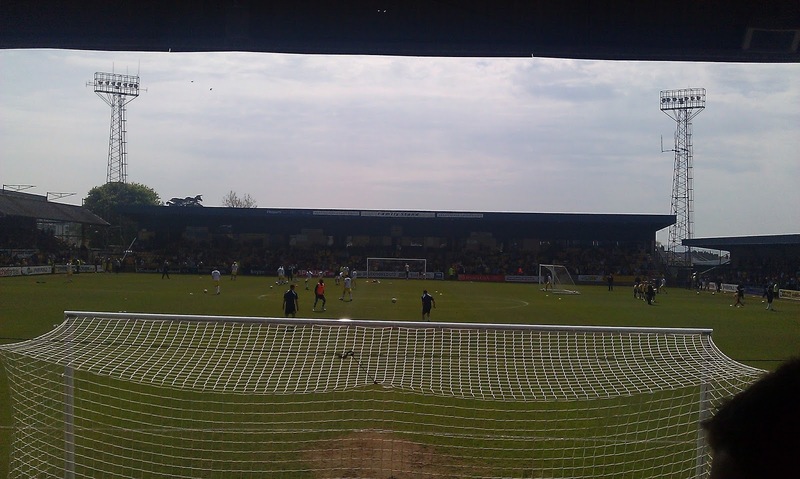 Opposite is the family stand, an all seated stand behind the goal. 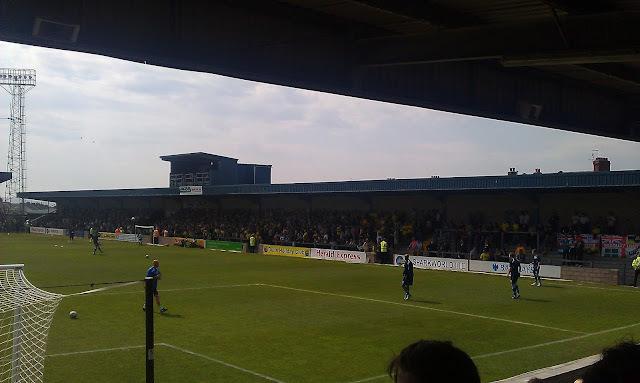 Finally to the left, is the Grandstand. 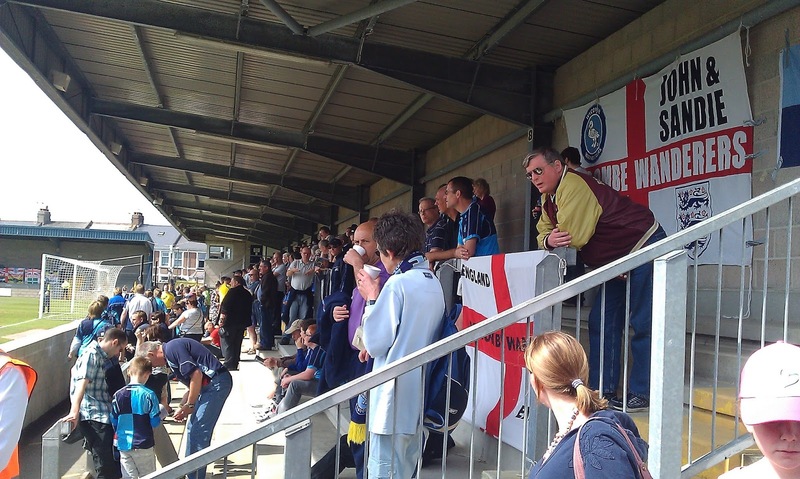 This is the only older stand in the ground, and away fans are given a section of this if they wish to sit.